I’m from Ryton in the United Kingdom, and went to high school in India. I spent my Global Citizen Year living in beautiful Brazil. Now I’m studying at Leiden University College The Hague in the Netherlands. 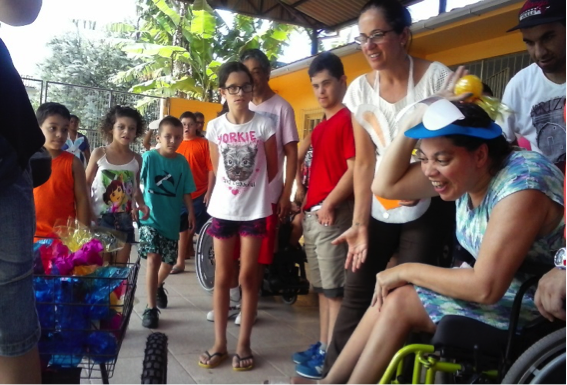 Here’s a peek into my day to day life in Brazil! 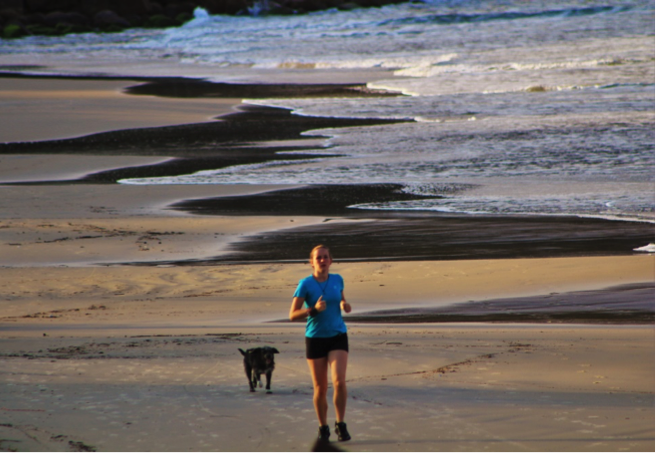 Running on the beach is a great way to wake up and start the day. It’s also the perfect time to go running because there’s hardly anyone on the beach. My apprenticeship is at a school for people with disabilities. This morning my boss Kico and I helped the children plant flowers. Later we worked with a the adult students planting vegetables. 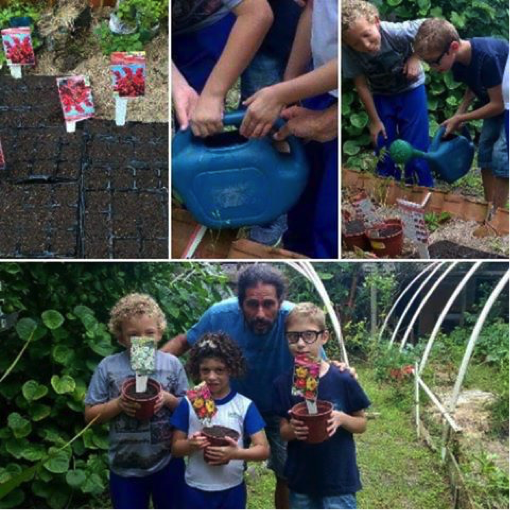 They had previously chosen which veggies they wanted to eat at the school and we created a project to let them grow the food themselves. I return home at mid-day for the biggest and most important meal of the day in Brasil…lunch. 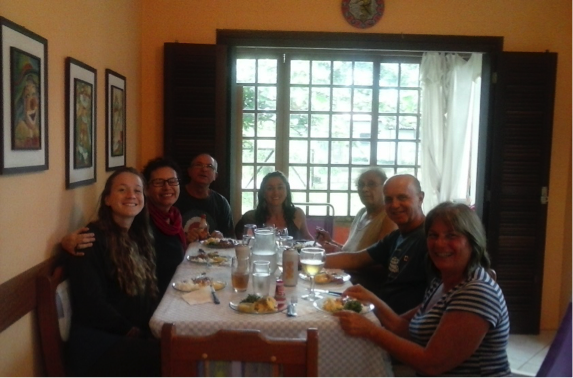 Every day we eat the traditional black beans, rice and meat. In the beginning it was difficult to eat every day, but now I absolutely love it. I return to my apprenticeship at 1pm to play games with the students and help out in the classrooms. This picture was taken during a physical education class around Easter time. Each student had to try throw the egg into the basket. Here you can see Patricia throwing her egg, seconds before she succeeded. 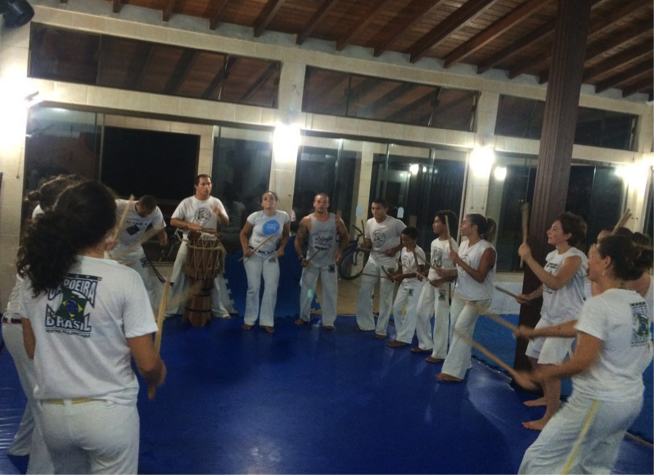 Capoeira is the traditional form of dance, martial art, music and singing of Brasil, historically created by the African slaves in Brasil. This is my group here playing maculele, with my professor Tonho on the drum. In the evening my family will either make a small dinner or go out to eat. My favourite thing by far is the Brasilian sweet pizza. 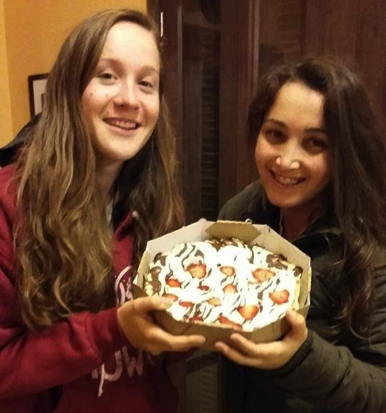 Here is my host sister Luana and I with a yummy chocolate pizza.